What’s the difference between a scientific instrument and a musical instrument? The Artoscope is a device for listening to paintings. Or rather, a device for making music. Or is it for drawing musical paintings then listening to them? Come and join musician and inventor Ed Briggs to find out. 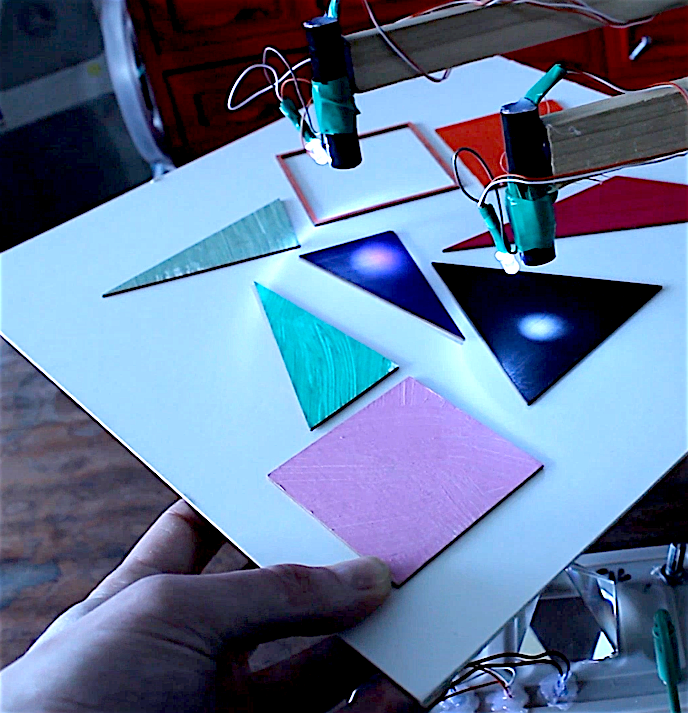 The Artoscope spins pictures on a turntable and then uses various home made light sensing devices to turn those pictures into sound. Exploring the idea of ‘sonification’ – the act of turning data into sound – this invention lets you experiment with changing the inputs and outputs of a machine specifically designed to translate data in the noisiest way possible. Spin pictures and hear how they sound, create your own pictures and turn them into music. Ed will be mucking around, answering questions and helping you to get started making your own sounds with the Artoscope.